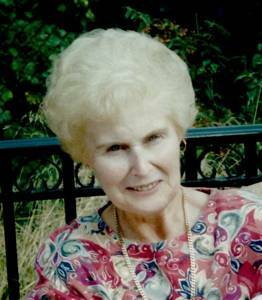 JIMENEZ THERESA (PAPLER) of Livonia, age 80, February 17, 2017, left this world peacefully and surrounded by family in Houghton Lake, where she lived since 2013. She and her beloved husband Abe, who passed away July 27, 2013, were formerly of Livonia and Detroit. Together they raised four children and shared nearly 57 years of marriage. Loving mother of Jennifer (Mike) Maloney, Cindy (Scott) Ashley, Kathy (Wayne) Bolton, and Tom Jimenez. Proud grandmother of Claire (Steve Straker), Brian (Gladys) and Stephen Maloney; Brandon (Amanda) and Tressa Ashley (Jake Hartley); Colin, Evan, and Dylan Bolton; and Tyler and Rachel Jimenez. Loving great-grandmother of Carly Straker and Addalyne Ashley. Theresa was born April 16, 1936 in Detroit to Gertrude Domzalski and Zigmunt Papler. She was a loving sister to her brothers Robert, Jerome, Dennis, and Gordon. She is survived by her dear brother Dennis (Gloria); brother-in-law Mon (Lydia); sisters-in-law Joanne, Christine, Alice, Aurora, and Justina “Tina”; as well as nieces, nephews, and cousins. Theresa and Abe lived for each other and their family. Together they were a wonderful example of what being married and loving and caring for family are all about. Family and friends will be received at Neely-Turowski Funeral Home, 30200 5 Mile Road, Livonia, Tuesday, February 21, from 2-9pm with a 5pm Rosary. Mass of Christian Burial at St. Genevieve - St. Maurice Catholic Church on Wednesday, February 22 , at 11am. Instate 10:15am. In lieu of flowers, donations may be made to the Lupus Research Institute, www.lupusresearchinstitute.org/.